Telenor to get pan-India footprint via acquisition? Telenor is under discussions with a telecom company to expand its Indian operations nationwide from the current six circles, according to media reports. Telenor currently offers services in six telecom circles, and is planning to launch services in Assam soon. It was earlier in talks to acquire Tata Teleservices in the country. The Norwegian-based telecom group wants to offer 4G on the 1.4 MHz narrow LTE band in six months. It is currently running a 4G pilot in Varanasi on the 1.4 MHz narrow LTE band, and it said that a wider 4G launch will depend on the outcome of the pilot. Traditionally, LTE is deployed over a minimum 5 Mhz of contiguous spectrum. Telenor, due to the spectrum crunch, has for two years been working on a technology that allows offering high-speed 4G LTE mobile broadband on a narrow band of spectrum. In India, all three incumbent telcos Bharti Airtel, Vodafone, and Idea Cellular, offer 4G LTE services. They are rapidly expanding their 4G footprint to take on Reliance Jio Infocomm, which is planning to launch commercial 4G services later this year. Reliance Jio however already offers 4G services to its over 1 lakh group employees, who are helping the telco improve the network and service delivery by providing relevant insights. Telenor also slammed the Indian telecom regulator’s recommendations on pricing of the most coveted 700 Mhz band. The company’s CEO Sigve Brekke said that the price is too expensive. Brekke, in an earlier interview to Reuters, said that Telenor would reconsider its India strategy if buying more frequencies becomes unaffordable. 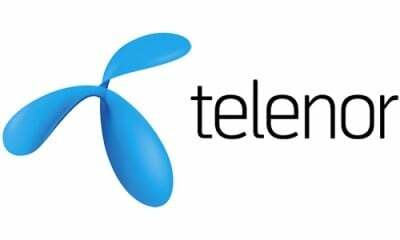 Telenor’s India unit posted a higher operating loss of NOK 368 million (Rs 460 crore) in the fourth quarter of 2015, compared with NOK 285 million ( Rs 358.33 crore) a year earlier. I think they are all set to acquire Aircel before Reliance merges with them. Aircel-Reliance merger will happen only if the debts of both companies are brought down to 10000crores. Aircel’s debts are primarily from the 2010 auctions where they acquired 4G spectrum and unable to launch. Telenor is looking for someone who has 2G, 3G, 4G. If they go for acquiring Docomo, they will have to get everything in order. CDMA, GSM, Photon, etc. Although its a big chunk, Tata Docomo do not have presence in Delhi & whole of North East.